On Tuesday the Ducks took to the Mo center starting session two of Spring football. The Ducks spent the past two weeks on Spring break and finishing Finals. There was a lot of buzz around the arrival of the early enrollees. Something that benefits Oregon from being on the quarters systems academically. Four of Oregon’s 2019 prep signees made it in time. But the headliner was graduate transfer Juwan Johnson making his way in early for Oregon. The Penn State grad figures to be a key piece of this team for the 2019 season helping replace a departed Dillon Mitchell. 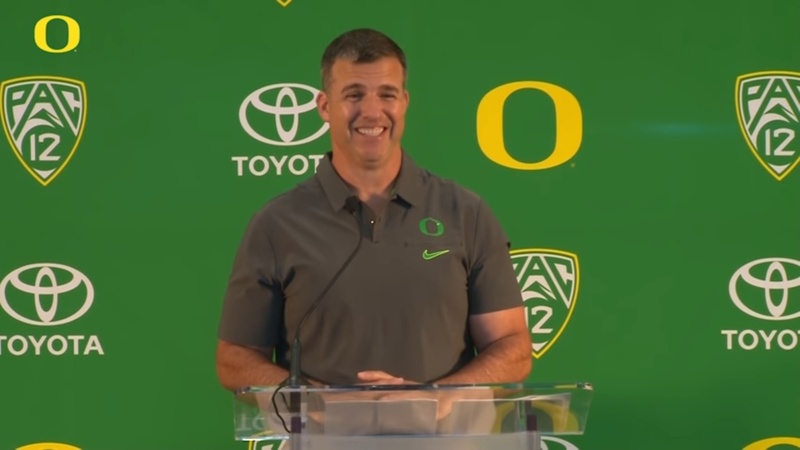 Mario Cristobal spoke with media following practice to go over the break and the return to the football field.